What brings holiday-makers back to the Algarve year after year? Before I first went to the Algarve, I wondered what exactly was the real attraction that kept British families returning there for their holidays year after year. After all, it was not the Mediterranean, with its variety and mass appeal and it certainly wasn’t the Caribbean with its renowned balmy atmosphere and laid back luxury. On my first visit one Spring, I began to understand, but it was not until I had been in both the Summer and Autumn months that I really began to appreciate the Algarve’s enduring appeal. It does have something for everybody. 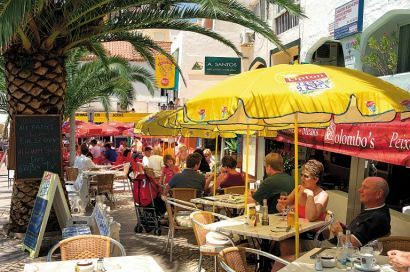 There are boisterous, lively areas around the resort of Albufeira, which in some ways are reminiscent of the Spanish costas; here are high-rise hotels and apartment blocks, long beaches and lively bars and restaurants and lots of holiday attractions. But, this only represents a fraction of the Algarve and there is so much more, which appeals to the British family holidaymaker. I’ll start by looking at just one area, one which is known locally as the ‘Golden Triangle’. 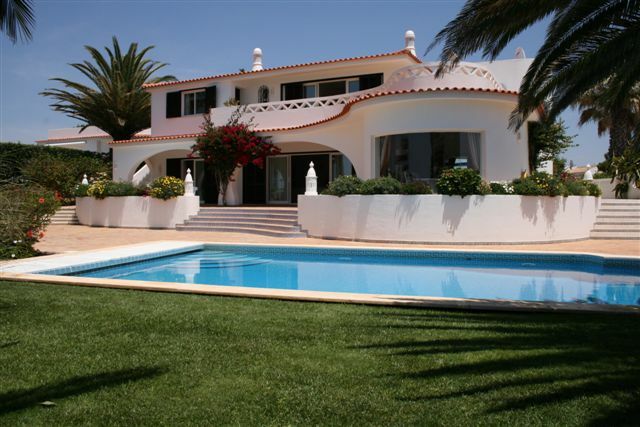 This takes in a fairly small geographical area with the town of Almancil at the top and the developments of Quinta do Lago and Vale do Lobo at the other corners, linked by a stretch of superb beach. Almancil is a bustling service town with all the business and commercial facilities to look after the area. 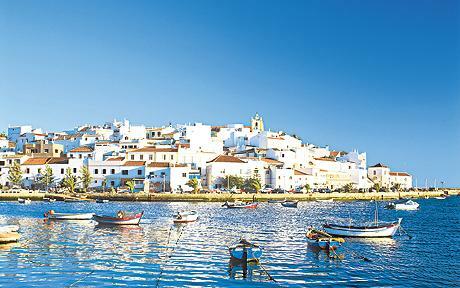 It is just a half hour drive from the regional capital of Faro and only 20 minutes or so from its modern airport. Here can be found banks, lawyers, insurance companies, supermarkets (both local and international standard), shops of all sorts, along with bars and restaurants. These enterprises service the ex-pat community, the year-round tourists, seasonal workers and, of course, the locals. There is a large ex-pat community; probably the largest section is British and Irish, but there are also Dutch, Germans, Scandinavians and a sprinkling of others. They have been drawn to the region by the climate, the facilities (especially golf) and the ease with which it is possible to assimilate into the community of individual choice. The longest established residential development is Vale do Lobo (Valley of the Wolves), which has been built amongst the coastal pine woods which characterise this part of the coastline. There are now upwards of 2000 residences built around two established and magnificent golf courses, the Royal and the Ocean. Complementing these are an international standard tennis centre and academy, horse-riding, football pitches and, of course fitness and spa facilities. There is a bus service, a five-star hotel and an area alongside the beach with a selection of good quality bars and restaurants. And, there is the beach itself – two kilometres of unbroken golden sand. 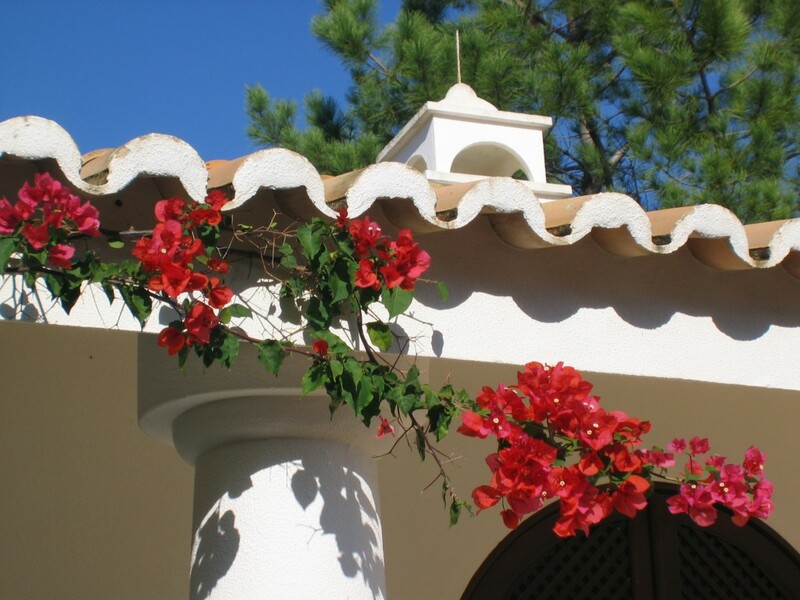 The majority of the properties here are villas and townhouses and whilst many are occupied year round by ex-pats, most are available for holiday rental through companies such as Villa Retreats. These houses have all been built as family homes and mostly range from three to five bedrooms, although some are six bedrooms or more, making them really attractive to extended families or two families holidaying together. And families use them year after year, often renting the same house for the same two weeks every year. Over the years visitors become firm friends and their children grow up together, even though they only get together at these holiday times. For many, the images of family summer holidays spent in jacaranda-clad, white-walled villas last a lifetime. For many adults, the golf is the principal attraction of Vale do Lobo. In the summer, pairs and foursomes play early and late, when it is warm, rather than baking hot. In the spring and autumn, groups of friends (mostly male) travel out together to play the courses of the region; they can be heard most afternoons and evenings in the local bars recounting their day ball by tragic or triumphant ball. On the other side of the triangle is Quinta do Lago. If vale do Lobo is a luxury resort, then Quinta do Lago is a couple of points further on, much less high-density with wider roads and mostly bigger, more luxurious houses set on larger plots. Quinta suits a different type of visitor, who prefers more privacy and exclusivity. Again, the development is set within top-class golf courses, with tennis, spas, restaurants and other facilities; the beach is more of a walk over the dunes and through a nature reserve and there is an up-market shopping complex with designer boutiques and cafes and bars. In between the two resorts are a number of smaller developments with often better value, but still good quality, rental opportunities and equal, if not better access to the beaches. There are more restaurants, a riding centre and other sporting and leisure facilities. There is much more to the Algarve, but more of that another time.